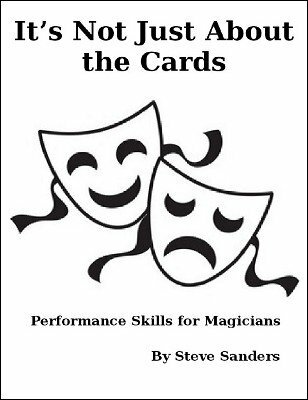 It's Not Just About the Cards is a brief look at performance skills for the magician. The types of performing areas commonly used and how to utilise that space and engage the audience. The Physical and Vocal side of performing. An approach of how to build a 'stage' or 'performing' character. 1st edition 2017, 28 pages.